As you know, this The Different Company Rose Poivrée drama of mine goes back over a decade. I'd owned a big canister of the original civet-heavy formulation, the one that Luca Turin famously said smelled like dirty underwear, and because I was young and I thought perfumes had to smell nice, I never had the nerve to wear it and finally sold it off. 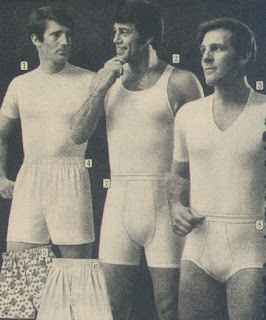 At the time, I knew nothing of reformulations and figured if I ever developed an appreciation for smelling like dirty underwear, I'd know just where to look. 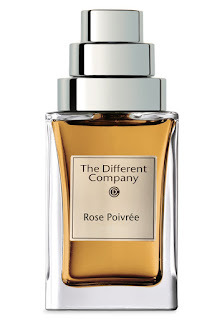 Surprising to everyone who doesn't love perfume (and to no one who does), I did develop that appreciation and, alas, by then Rose Poivrée had changed from dirty underwear to a proper peppery rose. I suspect even you were dubious about my scent memory, especially after you'd asked Jean-Claude Ellena to talk about the formulation's change and he wouldn't do it and instead passed off some nonsense about our noses becoming accustomed over the years to the original scent and now it doesn't seem so radical. Rubbish, I said, and I had a small sample of the original to prove it. But prove it to whom? Jean-Claude was never going to stop by my house (I cleaned a lot before you came over, can you imagine the work I'd have to do ahead of a visit from Jean-Claude Ellena? ), and none of my friends care. For which I'm grateful because if I surrounded myself with people like me, I'd never escape this rabbit hole. Jean-Claude Ellena mischievously planning a surprise visit to Dan's house. Back to the rabbit hole: last week I bought my third bottle of Rose Poivrée "original formulation" from an unknown person on eBay, it arrived this afternoon, and as I unscrewed the top, before I even put the bottle to my nose, I knew the seller was not a lying liar and instead an angel, a perfect living angel who had just sold me a bottle of perfume that smells aggressively like dirty underwear. This is the real thing, KP, and anyone who says Rose Poivrée's formula hasn't changed is welcome to come over here and sample my bottles side-by-side. 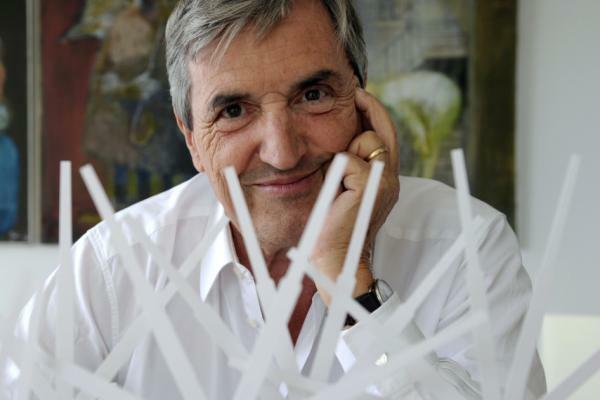 Though if you're Jean-Claude Ellena, you'll need to give me at least a week to clean the place up. I love your triumph at being right about the underpantsiness of the real RP. But aside from the smug satisfaction, what other pleasure can you possibly glean from the stuff? Will you just hold onto it for reference? Because while you claim to have developed an appreciation for smelling like man-gusset, I'm not really buying it. I'm not sure I would've come to the man-gusset comparison on my own (in fact I'm sure I wouldn't have), but RP definitely smells of unwashed bodies. Seriously, I don’t believe any formula has changed as much as this one has. And that includes Bruce/Caitlyn Jenner! I like it and I think I can wear it. It's basically just sweaty and slightly masculine (I think because of the pepper). I smell French! And considering I am French (according to my genetic ancestry breakdown), it's all coming together for me. This is so entertaining! I understand the difference between THEN and NOW, even if fragrance houses try to downplay the change. I hurt the feeling of someone at Guerlain by insisting that Vol de Nuit is no longer the signature fragrance that it used to be.. I KNOW that fragrance and, while I am sorry for the hurt feeling, the truth is the truth. Anita, Unlike most reformulations, I suspect Rose Poivree wasn’t changed because of European regulations or a difficulty accessing certain ingredients, but instead because its original formula was utterly inappropriate. Though, again, we’ll never know because fragrance houses are about as forthcoming as Greta Garbo. Hi Dan. 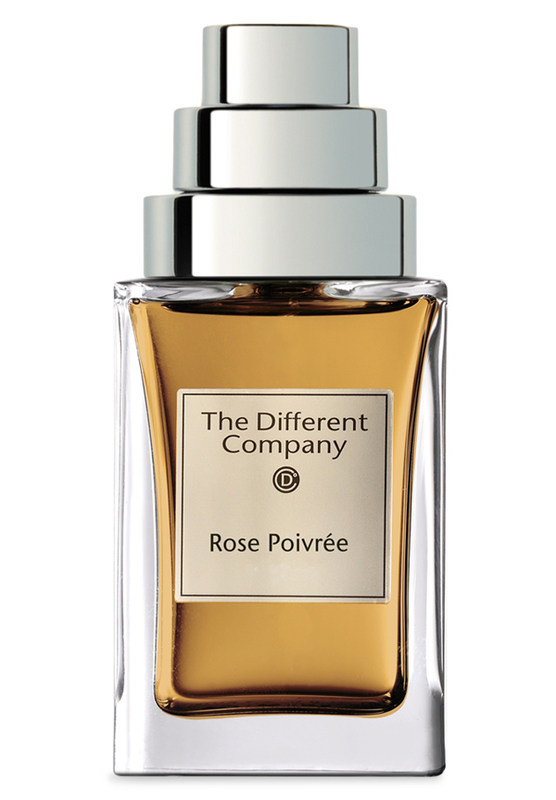 I love Rose Poivree in both formulations, but the original is special. I'm glad that you found your bottle from an honest seller. I have some of the original in a travel size and I take it out periodically to spray a little and admire it. But having read Katie's comment, I'm starting to doubt myself. Do I really like it? Or am I some underpants-admiring, fragrant troublemaker, stinking up the place? My whole relationship to skank has been thrown into question. Hi melisand61, Even after all these years, the original Rose Poivree surprises me every time I smell it, not only because of its scent but also that it was manufactured in the first place, put in a pretty bottle, and called Rose-something. No one could possibly smell it and think of roses. To answer your question, yes, of course you like it! But for reasons you’d have great difficulty justifying to almost everyone. I wore Frederic Malle's Fleur de Cassie this evening, then read this---I'm in the skankhouse with you, in a floral mist of underpantiness. My coffret-sized bottle isn't going to last long, I think. Tomorrow, I'll wear something clean. So to speak. Rose Poivre was the very fragrance that launched me down the perfume-collecting path (I'm probably not obsessed enough to be called a fragonerd). I had read some article in the NYT about its being a polarizing cult item in France, and I believe they mentioned the civet and an offensive smell. This was super intriguing and I ordered a small decant, then a large one, and then another large one and finally bought a full bottle. It was my first niche purchase. I came to it around 2007, which I think must be post-reformulation. I've never smelled the underpants smell, but I don't pick it up in Black Orchid either though many people report that. When I do get a hint of skank it smells faintly of pee. I sometimes smell it in my vintage Joy and in Cuir de Russie, too. It turns out I am just perverted enough to really enjoy the hit of bathroom smell in the midst of all the luxurious beauty. It really does shout Expensive French Perfume! to me, in an old-school way that predates the niche revolution. I've gotten exactly one compliment on it ever, from a quirky grammar-nazi chick. I've often wished I could smell the original nasty version. I am quite curious how much skanky stank I would find wearable. Miss Conduct, I’ve not studied Rose Poivree sufficiently to say for sure, but I believe there have been multiple reformulations and the one you’d discovered, while not as skanky as the original from years earlier, is more civet-heavy than what’s sold today. Rose Poivree's history is the evolutionary chart told in perfume. Or the reverse-evolutionary chart, depending on your preference. Either way, I think your version is Neanderthal Man. Let me know if you want to go full underpants and I’ll send you a sample. And there’s an entire locker room of men in the original Rose Poivree. I wonder if that’s enough to get you to amend your quote. I remember smelling Rose Poivree along time ago and although I love some rose scents ... not this one. They stink and rot and will not flower ... just hang there rotting . Its not nice and that was what I thought of as soon as I smelt that perfume. Sorry Dan...... but I thought you might like to know someone else's experience of the perfume. I am so glad you go a "dinky di" bottle of Rose Poivree ! Anyone who sells Liar Perfume ... would probably do anything to make a buck... lets hope Karma gets them! Haha! Dan likes perfume that smells like it's been balled! Katie, we miss you on you tube... why no videos? BKF - I've mislaid my video mojo, but fully intend to resume. I'm heartened to hear I am missed. Thank you! I'm luc Gabriel, CEO of The Different Company. I've read your reviews of RP which is definitely one of my favourite in our line. I have to say that this fragrance has never ever been reformulated. Jean Claude Ellena has created it so that we use a concentrate that includes his formulation and we add a specific, hard to find, essence of Rose. And maybe the slight variations come from this essence we add since it changes from year to year. On top of that there is no stabiliser, no added color in this fragrance. Over time, if you hang on to your bottle long enough, you will see the color change and become darker. The scent will change as well with the animal notes deepening. Hi Luc - I really appreciate hearing from you regarding the mystery of the shifting smell of RP. If the lack of stabiliser accounts for the increasing pungency of an older bottle, perhaps that is the puzzle solved. I'll give Dan a tinkle and see what he has to say. He always has something to say. Above is the standard perfume house response... reformuation, moi? Miss you Katie :( Come back to youtube please. With a lot of inhibition, I finally went ahead an purchased my bottle of Chanel NO 5 EDP. I adore the fragrance. I could were it faithfully all my life. But I am so disheartened to find out that it does not last on my skin more than 30 mins :( so upsetting. can u please suggest me an alternative that has the same fragrance but last longer? Hi PB! As you know, our noses adjust pretty quickly to whatever lovely perfume we're wearing, tuning it out long before we're tired of it. Have you checked with your daily gang o' people to see if they can still smell it on you after a couple of hours? If they can't, then your beloved No 5 is indeed bowing out before its time. All I can suggest is either layering with other No 5 products (body cream, etc), or bumping up to the pure parfum. The parfum smells a bit different (it emphasizes different aspects of the perfume - I adore the prominent ylang ylang in it), but will still give you the No. 5 cloud you crave. Speaking of reformulations, Would it be possible for you to make a video or post regarding the reformulation of Coco by chanel and maybe recommend some other fragrances that offer that same opulent warm expensive sexiness that the pre reformulated coco had. Opulent warm expensive sexiness. Yes. Does Chanel Coromandel have that? Or Divine by Divine parfum? Those are the two that immediately come to mind. Are more OTT accounting of O.W.E.S. might be Malle's Portrait of a Lady. Hi Real Love, TDC used the same 90ml bottle design for many years, beyond the first formulation changes. The only tip I can offer is my bottle of original Rose Poivree has a different address on the bottom than all my subsequent TDC bottles: 55, rue Sainte Anne instead of 3, rue Chabanais. As for the RP's color, it’s changed so many times over the years, it’s probably not worth mentioning, but the original is kind of a Sunrise Orange (I’m speaking Pantonese), while later formulas were darker and richer. And then later more pale. This hobby will drive you mad.